If you’ve been hurt in an accident, you have two choices: rely on an insurance company to give you a settlement or call a personal injury attorney to ensure you get the full and fair compensation you deserve. For more than 30 years, Reid B. Wissner Law Offices has fought tirelessly for victims of other people’s negligence. If you’ve been injured in the Bronx, Brooklyn or Queens and need an experienced personal injury lawyer you can trust, please call 212-406-9288 to discuss your case for free. We handle cases on a contingency-fee basis, which means that you don’t owe any attorney fees unless your case is successful. Unlike other law firms that handle a variety of cases regardless of their experience and knowledge, Reid Wissner deals strictly with personal injury cases. He has built a reputation for providing his clients with skilled, compassionate and aggressive legal representation and exceptional results. Fractured and broken bones: Bones can break under excessive force. Casts and splints are usually used in the treatment of fractures to realign the bone. However, in some cases, fractures are complicated and require surgery and rehabilitation. 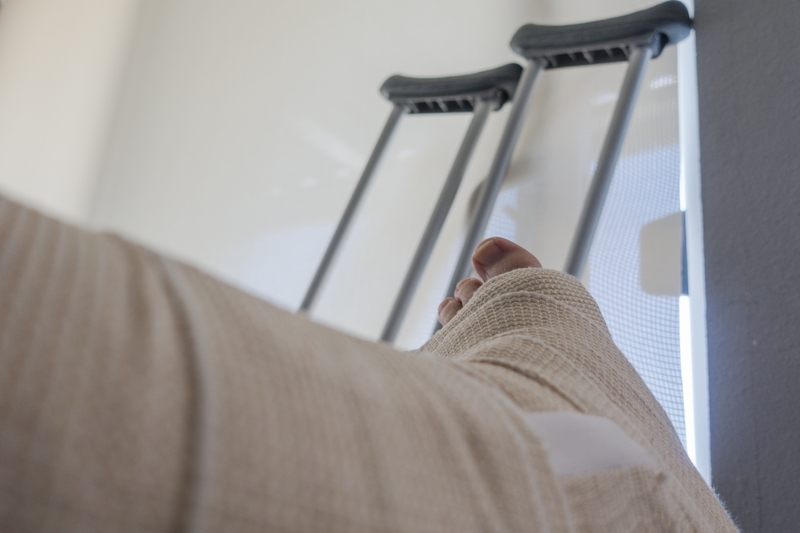 Depending on the severity of your broken bone, you may be incapacitated and unable to work for weeks or months. Pinched nerves: Abrupt force and movement placed on your body during an auto accident can put excess pressure upon a nerve, pinching it. This can lead to disrupted nerve functionality and uncomfortable inflammation. Symptoms of a pinched nerve include muscle weakness, pain, twitching, numbness and tingling. Spinal cord and neck injuries: Injuries involving the neck and spinal cord can be devastating, and cause a loss of mobility and motor function. The spinal cord controls vital bodily functions, and any damage to the neck and spine, including whiplash, can result in lifelong hardship. Brain injuries: Head trauma is one of the most severe injuries anyone can suffer. Damage to the brain must be treated very carefully, and the repercussions can last for years or even a lifetime, impacting your quality of life and ability to work. Burn injuries: These types of injuries can result in extensive scarring, physical disability and chronic pain. First-degree burns usually heal without any adverse effects. However, second-degree, third-degree and fourth-degree burns are much more severe, with symptoms ranging from debilitating pain to permanent disfigurement. 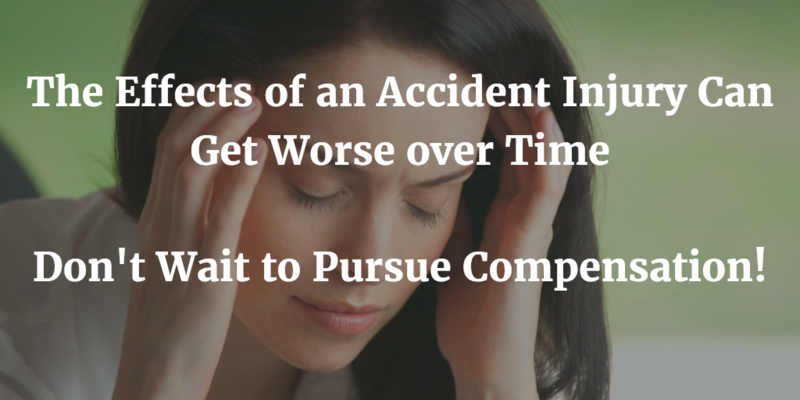 Following most accidents, insurance companies promptly begin working on a settlement offer. While your offer may look good at first, these settlements almost never cover all of the damages related to your recovery and future needs. Unfortunately, if you accept the insurance company’s first settlement offer, you waive your right to seek full and fair compensation through a personal injury lawsuit. When you hire an accident lawyer to handle your personal injury case, you are protecting your best interests and working toward compensation that covers both your economic and noneconomic damages. Reid Wissner has decades of experience pursuing maximum compensation for severe and incapacitating injuries. However, your injury does not need to be major in order to seek fair compensation. Although many law firms turn away cases that don’t have the potential for million dollar settlements, Reid Wissner can help you if you have sustained any type of injury. Even seemingly small injuries can have a long-lasting impact on your health and ability to perform your job duties. The effects of an injury aren’t always immediately apparent. Some victims experience diminished cognitive and physical function long after an accident, and symptoms commonly worsen over time. If you’ve been injured in an accident, Reid B. Wissner Law Offices understands what a difficult time this may be for you and your family. He will listen to the details of your case and determine the best approach for maximizing compensation in your personal injury claim. For experienced advocacy and compassionate support in your time of need, please contact us today online or at 212-406-9288 to schedule a free, no-obligation consultation. We proudly welcome clients from Brooklyn, Queens and the Bronx, New York.